Funny thing this month of January – everyone, and I mean EVERYONE is intent on making some sort of change – a change in their lifestyle, their eating, their tv habits, their technology use, etc. On the one hand, as a nutritionist and health coach, I am impressed and inspired by this fervour. The downside is, and I am really not trying to be ‘Nellie Negative‘ here – but statistics don’t lie – most of these intentions, changes and achievements will fall by the wayside by sometime in February – at the latest. (stop Nellie!!). 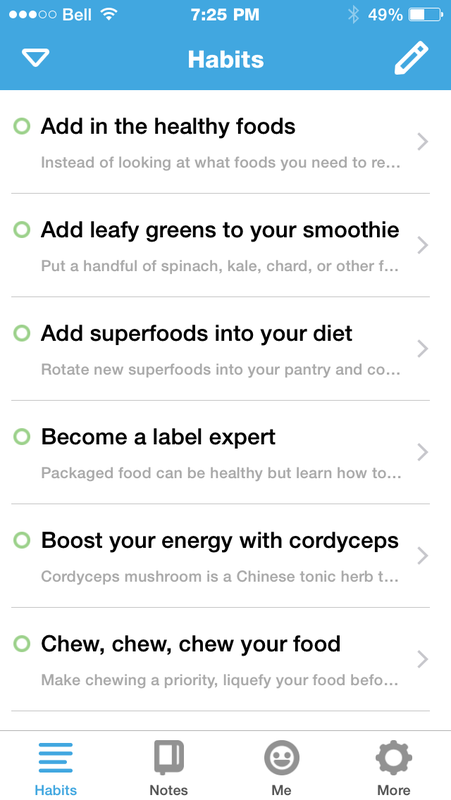 Us nutritionists are very busy this month. 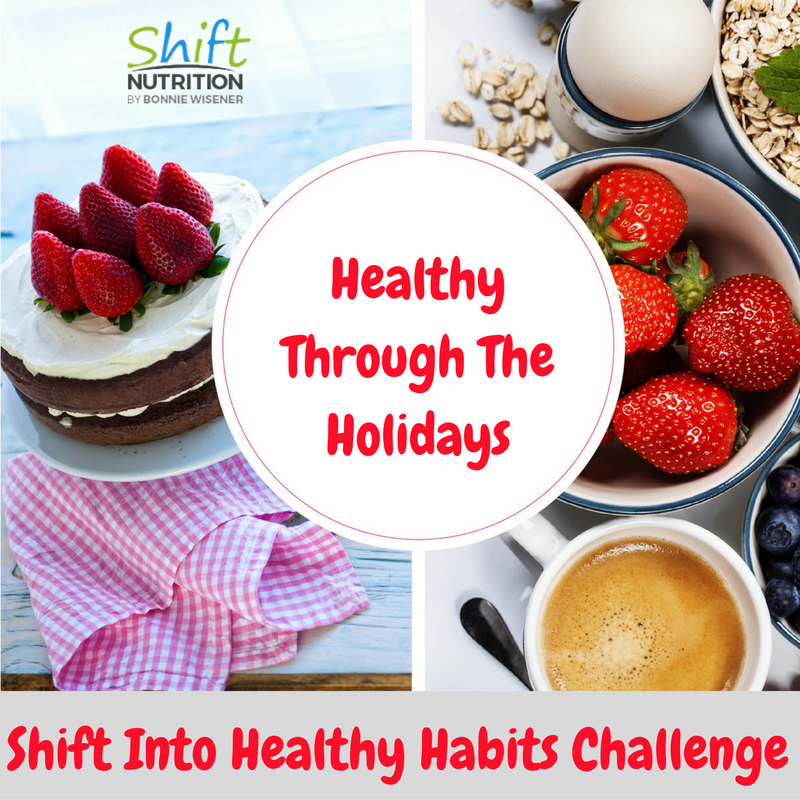 I even have my whole instagram account hijacked by a month-long Healthy Habits campaign that I created. 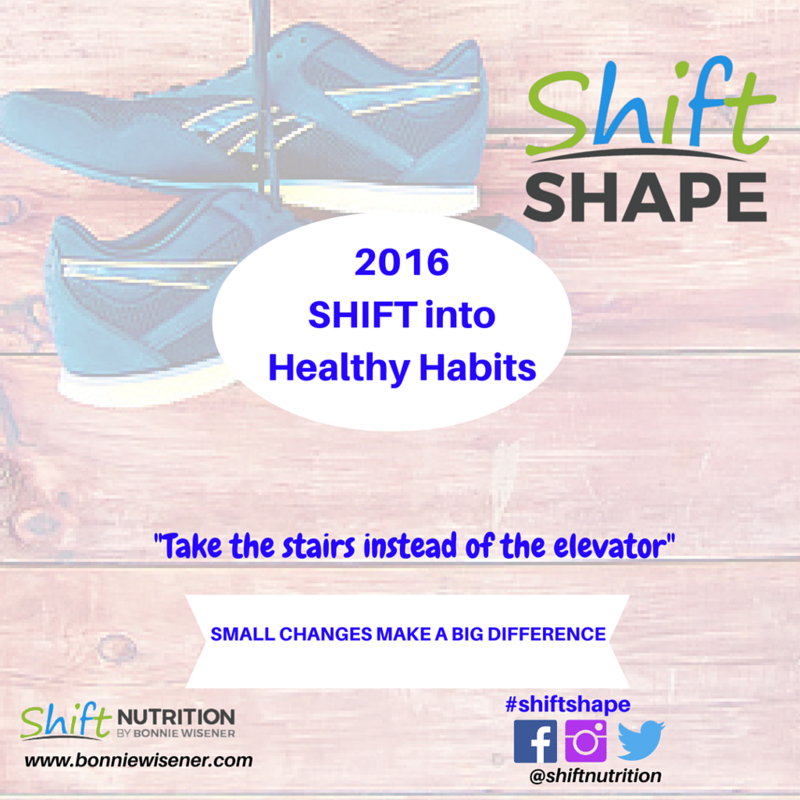 Small changes make a big difference and all that. Here’s the thing. If you know me, then you know that I honestly, from the bottom of my heart believe that, as a person and as a practitioner. 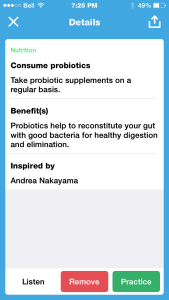 So, when I came across a new app developed by a well-known and talented nutrition type from Toronto, I was all over it. 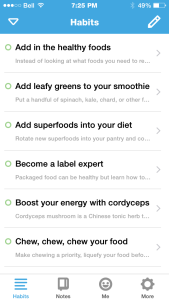 The ‘Habits’ app, developed by Marni Wasserman and her partner Dr. Jesse Chappus is really inventive and cool. At first when I downloaded it, I was a bit confused. My first impression was that it was neat, but it felt like it was talking to itself, and to Marni and Jesse and to people like me, versus the average person who is not a nutritionist or in the wellness world. Within a short while of spending some time with it though, I realized that it is actually incredible neat and useful. You can pick from all areas of improvement – nutrition, fitness, sleep, personal care, personal growth, and others are all represented. It’s design recognizes the need to be evolutionary. In other words, just because I decide today (a.k.a almost 2 years ago) that I would meditate daily, it doesn’t mean that it will happen like that. 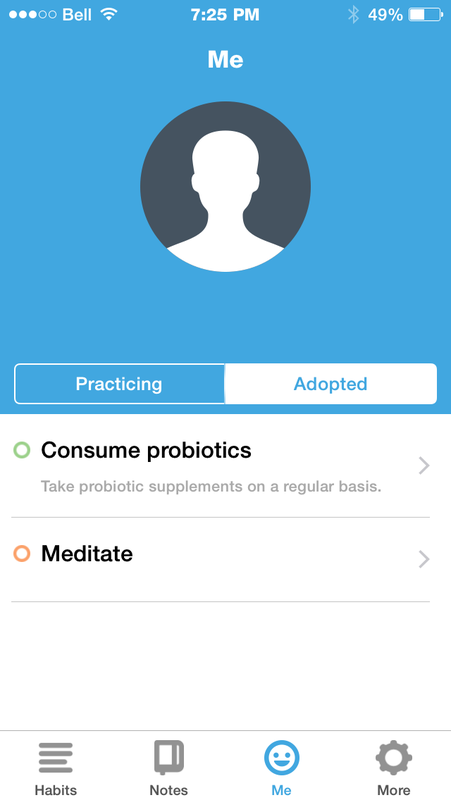 So, it allows you to keep track by classifying your habits into 2 categories, “adopt” and “practice”. Once you feel like you have worked it into your life, you can move it from “practice” to “adopted”, etc. 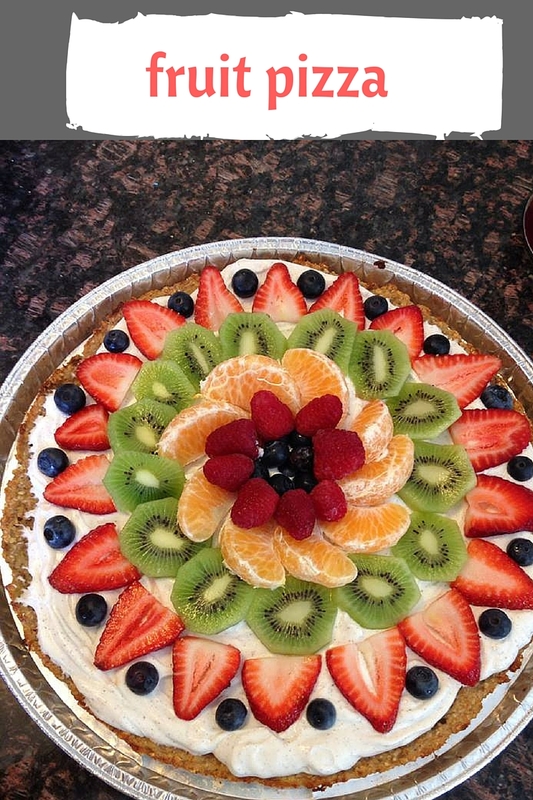 When I work with clients, it is my practice to move most people along in baby steps. This is a neat tool for anyone genuinely wanting to learn about a change they want to incorporate into their life, and keep track. It brings an element of mindfulness to the process, but in bite-sized pieces. 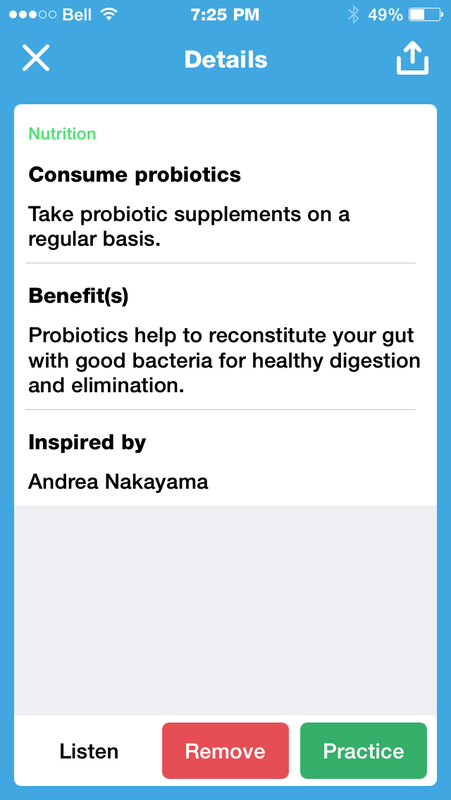 I think that is what makes it a great app to consider so that by February, you won’t be letting go of your intentions, you will be celebrating keeping on top of them.So, it looks like I will be reminding myself to take my probiotic regularly, or maybe getting really efficient and meditating about taking my probiotic regularly. In any case, you get the point. So, the world being small like it is, somehow I managed to get myself 3 coupon codes to give away 3 FREE downloads for this app. Sure, it’s only around $2 to begin with, but where I come from FREE is FREE! Besides, I am excited to do my first giveaway from my very own blog / website, so play along will you? Here’s what you need to do. 2. 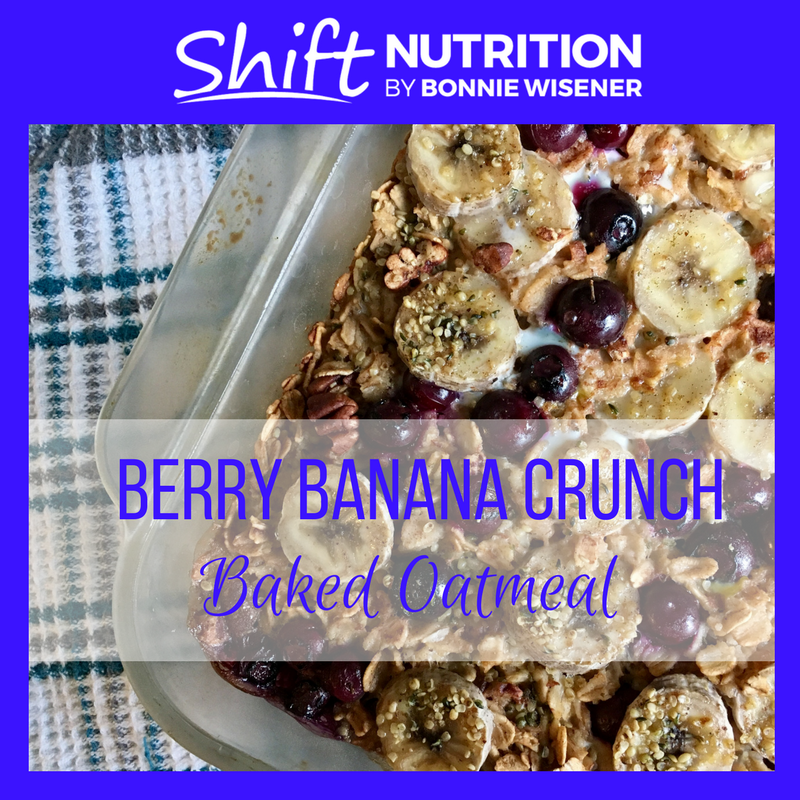 Then visit my facebook page here https://www.facebook.com/Bonnie-Wisener-Nutritionist-Shift-Nutrition-and-Wellness-572216866212638/ and send me a PM so I can send you the coupon code for the FREE download of the ‘Habits’ app. Easy peasy. Catch is, they will go to the first 3 people to do this. So, get busy! PS if you are feeling super motivated to set yourself up for success, scroll down to the bottom of this page and sign up for my newsletter. 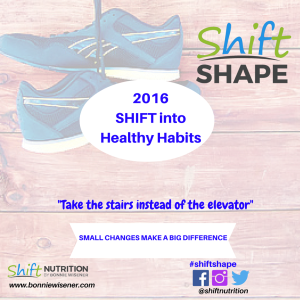 You will get a FREE download of my e-book “10 Simple Steps to a Leaner, Healthier You”.